Home » » 18-year-old Secondary School Student Proposes to His 16-year-old Girlfriend, gets suspended in school. 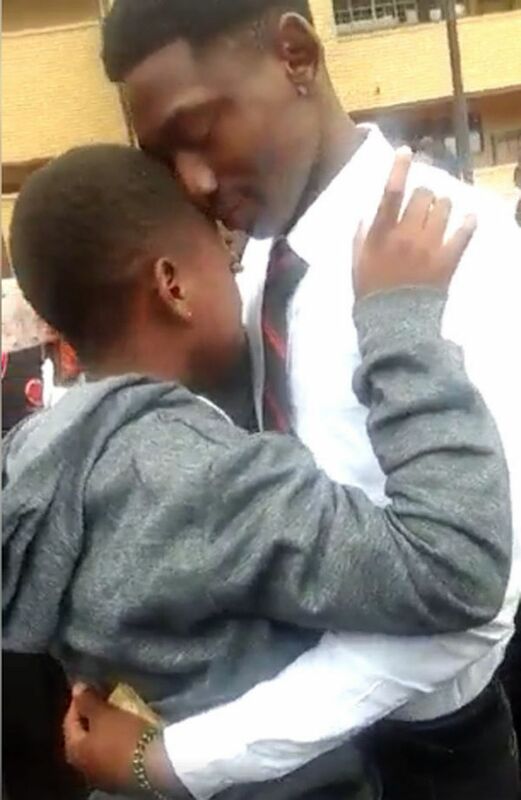 18-year-old Secondary School Student Proposes to His 16-year-old Girlfriend, gets suspended in school. Two secondary school lovebirds have had their excitement cut short after a marriage proposal at the school grounds. 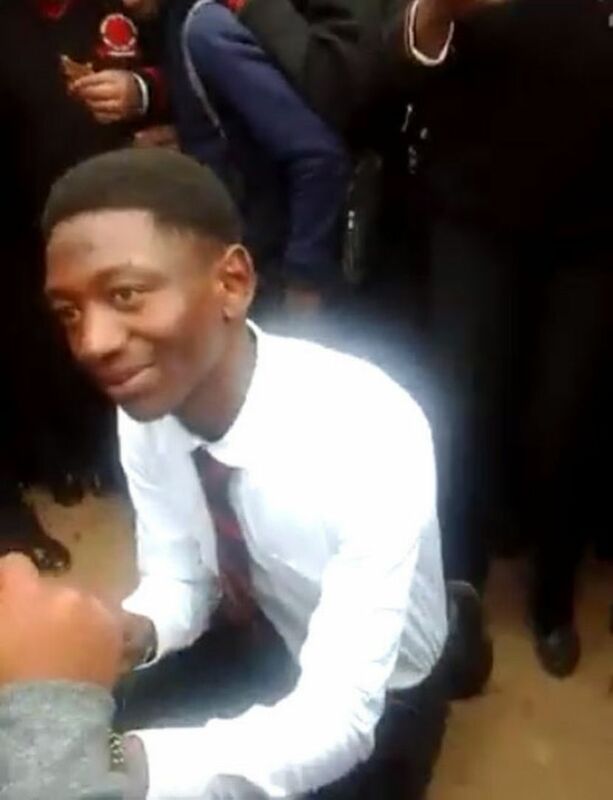 According to Sowetan Live, Mduduzi Tlou, 18, proposed to his 16-year-old girlfriend (whose name is withheld because she is underage) at Tholulwazi Secondary School in Tsakane, Ekurhuleni, last week, with the video going viral on social media. 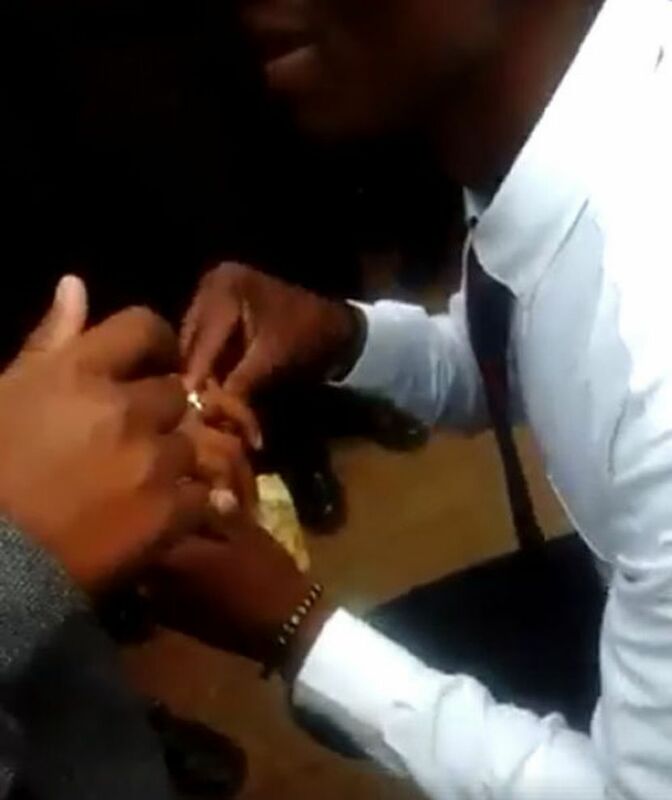 But a few hours after the two got "engaged" in front of cheering fellow pupils, the school confiscated a R2000 ring Tlou had bought for his girlfriend and suspended both pupils. The pupils yesterday appeared before a school disciplinary hearing. Tlou told Sowetan that they had been dating for eight months. He said he wanted to marry her because she had "changed" his life. "I love her because when I met her, I was an alcoholic and she had changed all of that." 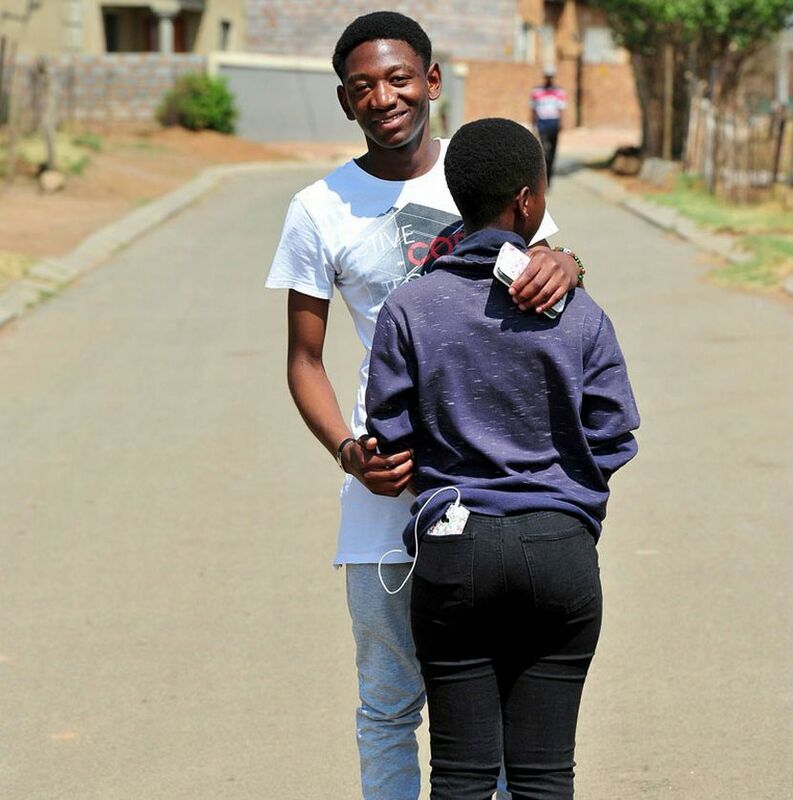 The Grade 11 pupil said marriage, however, was not on the cards for another two years. "I paid R2000 for the ring. I bought it from Sterns. I had saved money for it," Tlou said. He said he did not know the proposal was against school policy. "I was surprised on September 18 just after lunch when they called us into the principal's office, confiscated the ring and asked us to bring our parents the next day." Tlou said he was worried that he was missing out on learning while on suspension. He has already missed four class tests. He wants to finish his studies, find a job and marry his sweetheart. The girlfriend said she, too, was worried that she was missing out on her schooling. "When they took my ring at school, I wanted to cry. He asked me to marry him and make him the happiest man on earth. We are not going to get married now. We will get married after we both finish school," she said. The couple's parents said they were elated by the proposal, however, they were worried by the pupils' suspension. Tlou's grandfather Jacob Xaba said: "Why is this relationship being turned into a crime? He must marry her. I will even give him my savings for lobola." The girl's mother, Nomsa, said: "I am happy with the step these children are taking. Mduduzi is a good boy. I can't think of a better son-in-law." Gauteng education spokesman Steve Mabona said the pupils acted indecently by kissing and touching in front of their schoolmates. ". Surely such behaviour will not be tolerated in our schooling environment. A school is an institution of learning . The disciplinary process by the SGB . will pave a way forward." The pupils would be given a chance to write the tests missed, he said.